Not For Profit: Why Democracy Needs the Humanities, Martha C. Nussbaum, Princeton University Press. “We are in the midst of a crisis of massive proportions and grave global significance.” So begins Martha C. Nussbaum’s “Not For Profit: Why Democracy Needs the Humanities,” which examines a worldwide crisis in education, one that threatens to undermine democracy in the United States and abroad. Specifically, Nussbaum examines the ramifications of treating education as though the primary goal is to teach students to be economically productive, as opposed to teaching them to think critically and become knowledgeable, educationally well-rounded citizens. Never mind the fact that the U.S. has a liberal arts model of university education—that is, students take a range of classes, including courses in the humanities and arts. “In the U.S. and elsewhere, humanities programs are being cut at both the primary/secondary and college/university levels as nations prefer to pursue short-term profit by the cultivation of skills suited to profit-making,” writes Nussbaum, a professor of law and ethics at the University of Chicago. The result is that large swaths of societies around the world are semi-literate and factually ignorant, unable to understand complex problems or reflect on the plight of others. In the U.S., one need look no further than the 2010 midterm elections, in which the electorate rewarded the party that opposes solutions to (or created) the problems the American people are most concerned about—namely joblessness and the national debt. “And while Americans maintain that they like democracy and freedom of speech, we give these values lip service, but think far too little about what we need to do in order to transmit them to the next generation and ensure their survival,” writes Nussbaum. “If we do not insist on the crucial importance of the humanities and the arts, they will drop away, because they don’t make money. They only do what is much more precious than that, make a world that is worth living in,” she concludes. In other words, they play a vital role in helping to foster sympathetic and reasoned debate. Caravaggio—A Life Sacred and Profane, Andrew Graham-Dixon, W.W. Norton. 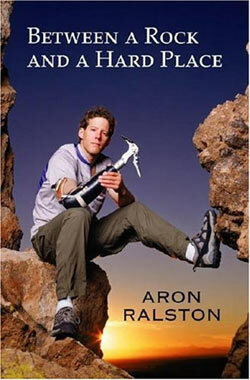 Between a Rock and a Hard Place—by Aron Ralston, Atria Books.